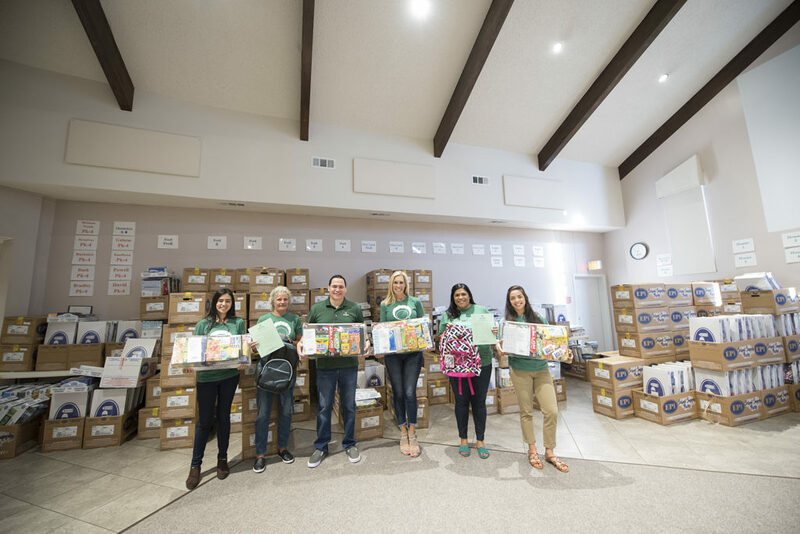 THE WOODLANDS, TX (Tuesday, August 14, 2018) — With the start of the 2018–2019 school year, Interfaith of The Woodlands served nearly 2,150 local students and 682 families in total as part of their Kits 4 Kidz program. In addition to the required school supply kits, children also received a new backpack and a voucher for a back-to-school outfit to use at the Interfaith Hand Me Up Shop. The efforts of Interfaith and its donors ensure that every child has the necessary tools for a successful school year. This is the 34th year that Interfaith has been providing school supplies to area students. As many as 41 local schools have students that use Interfaith’s Kits 4 Kidz program for their school supplies. “Interfaith is a blessing to my family. Without this program, I’m not sure how I would be able to afford school supplies for my child,” an Interfaith client shared with Robert Reyes, Interfaith’s Program Coordinator in the Family Services department. Families signed up in advance to order grade and school specific supplies; however, Interfaith also served anyone who missed the registration. Through late distribution, an additional 321 children and 123 families were able to choose miscellaneous school supplies and a new backpack from community-wide school supply drives. Interfaith of The Woodlands is a nonprofit social service agency providing programs and services to meet the needs of The Woodlands and the surrounding area. Interfaith provides basic needs assistance and special programs to families experiencing a financial crisis and supportive service through care and wellness programs to senior adults 62 and over, in addition to many community programs dedicated to improving the lives of individuals in need. For more information on Interfaith’s programs and services or to become a volunteer, please visit woodlandsinterfaith.org or call 281-367-1230.